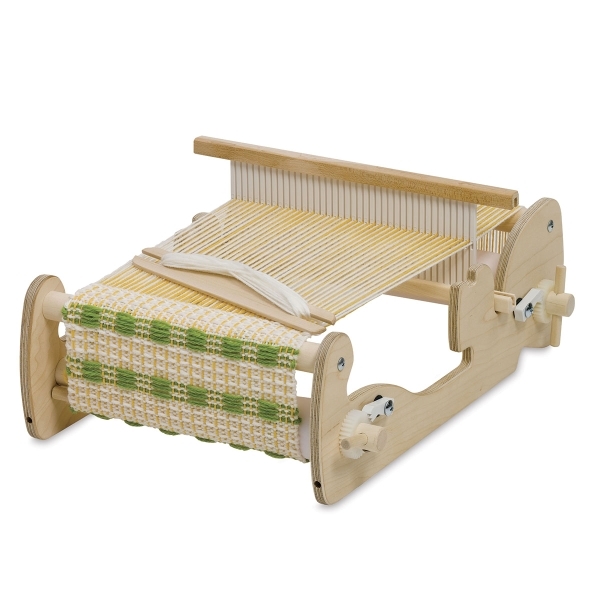 Ideal for new weavers of any age, Schacht Cricket Looms are compact and capable. The portable looms are easy to take along and perfect for the classroom. Weave your own scarves, bags, table runners, and more. Each Cricket Loom comes with an 8-dent rigid heddle reed as well as a threading hook, a warping peg, two table clamps, two stick shuttles, and two balls of wool yarn. The ratchet gears and ratchet dogs are located on the outside for easy tension adjustment. Choose a 10" or 15" weaving width. Loom with 10" Weaving Width — A 10" weaving width provides plenty of room to make a variety of projects without sacrificing portability. This loom measures 13"W × 6"H × 18"D and weighs just 4 lb. Loom with 15" Weaving Width — Just as portable as its 10" brother, but with five more inches of weaving space for greater flexibility in your choice of projects. This loom measures 18½"W × 6"H × 18"D and weighs 5 lb. ® Schacht is a registered trademark.® ApplePly is a registered trademark. Watch this video to get tips on warping and weaving on the Schacht Cricket Loom. 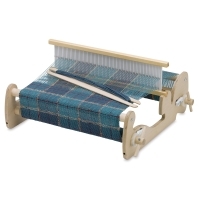 You'll see why this loom has become so popular with individuals as well as classrooms. Which weaving loom is right for your needs? In this video we'll show you a variety of Schacht Spindle looms available at Blick Art Materials.